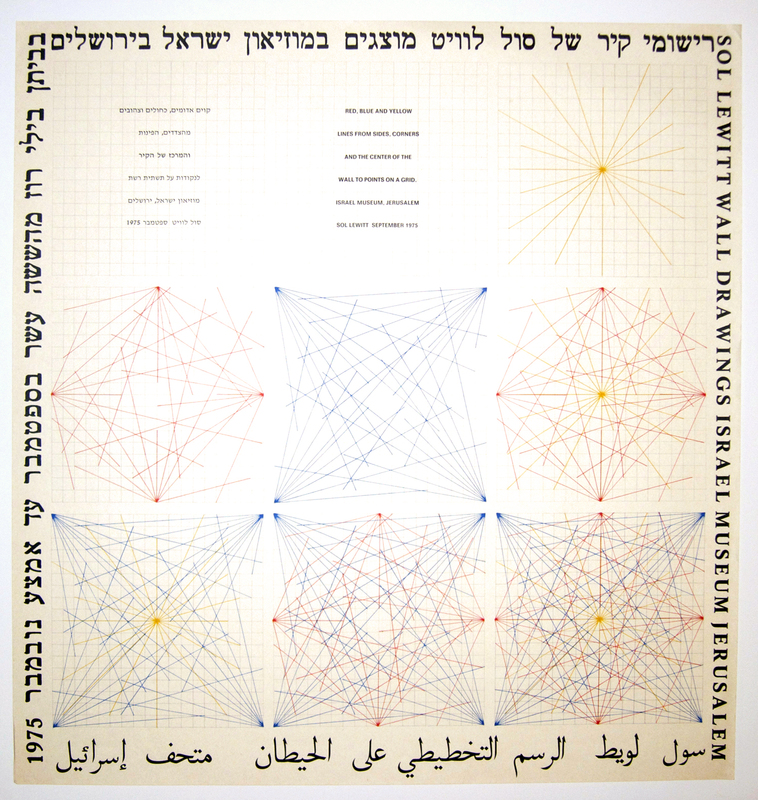 A collection of eighteen posters by Sol Lewitt, dating from 1967 to 1998. 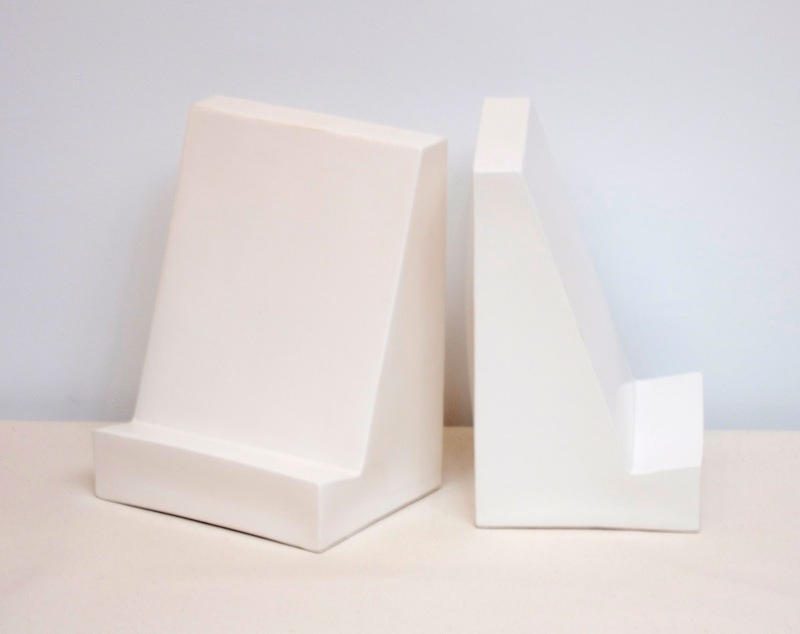 Lewitt, through his writing and work, did more to define Conceptual Art than any other individual. 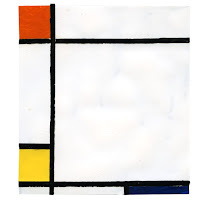 Simply put, it is art in which the idea is the primary thing; objects are secondary. 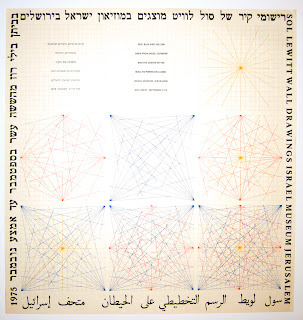 Lewitt’s ideas found form in a diverse array of media, including wall drawings, structures (the term he preferred to sculpture), artists’ books, prints, posters, textiles, furniture, and assorted other objects and ephemera. No form was privileged over another, Lewitt’s methodology was rigorous and consistent, and as the art existed primarily in the idea, its realization (which was usually done by working with fabricators, assistants, printers, etc.) was simply a matter of dissemination--the process whereby the idea was made available. 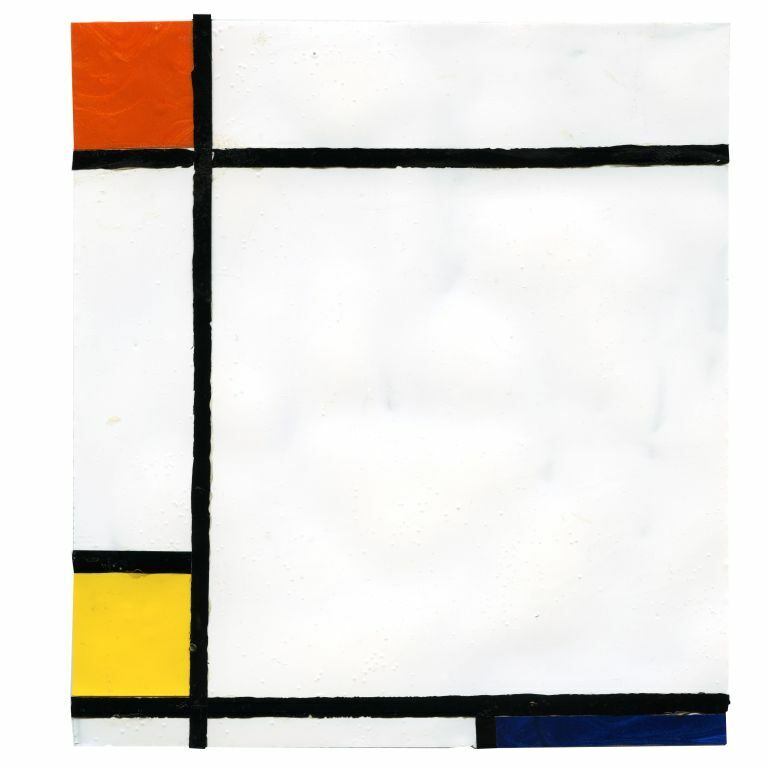 Thus this collection of posters is a compact retrospective, consisting of eighteen works spanning over thirty years, from the time of his earliest mature work to the point of international renown and acclaim as one of the true giants of contemporary art. $7,500 for the set. Inquire. Click here for complete description with images and specifications. Congratulations to Jason Polan on being named to Roberta Smith’s 10 Best of 2011 list in the New York Times today. 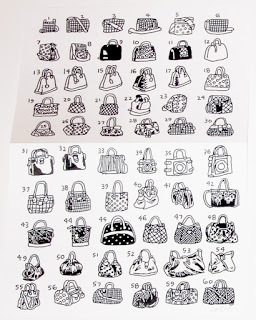 If you missed the show, here is Smith’s original review of it, but make sure you don't also miss Polan’s new publication Every Counterfeit Handbag on Canal Street, a signed numbered edition that is available FREE, but only through December 23rd, exclusively at the 6 Decades / Boo-Hooray Holiday shop. 8vo. ; black cloth boards, spine stamped in gilt; a few marks to top edge of pages printed dust-jacket; faint tanning to edges of dust-jacket and along spine; price-clipped. Near Fine. First edition. 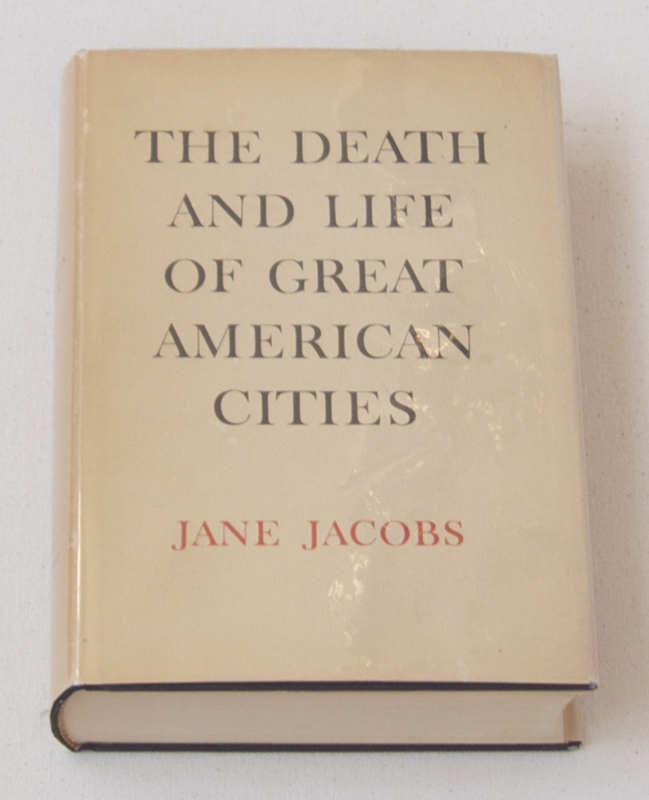 A very handsome copy of Jacobs’ classic study of cities and urban planning. The influence of this book is still being felt. 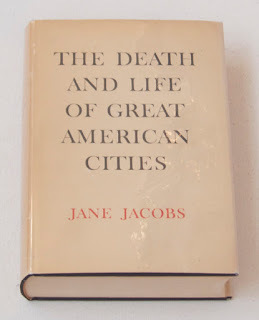 Jacobs’ critique of hyper rational modernist city planning is credited by many with turning the tide against the worst excesses of “urban renewal” (and, not incidentally, with saving Greenwich Village from Robert Moses). Come by the 6 DECADES / BOO-HOORAY Holiday Shop. 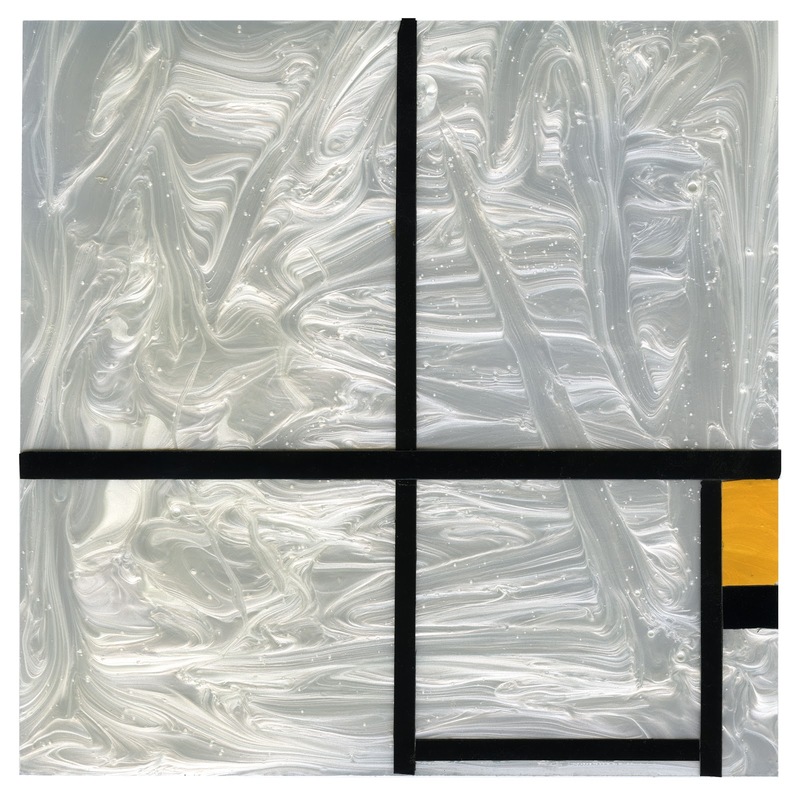 Every day till the 23rd there will be featured items announced on this site and in-store specials (such as Jason Polan’s FREE EDITION) as well as Dirk Westphal’s exhibition of nail polish Mondrians. 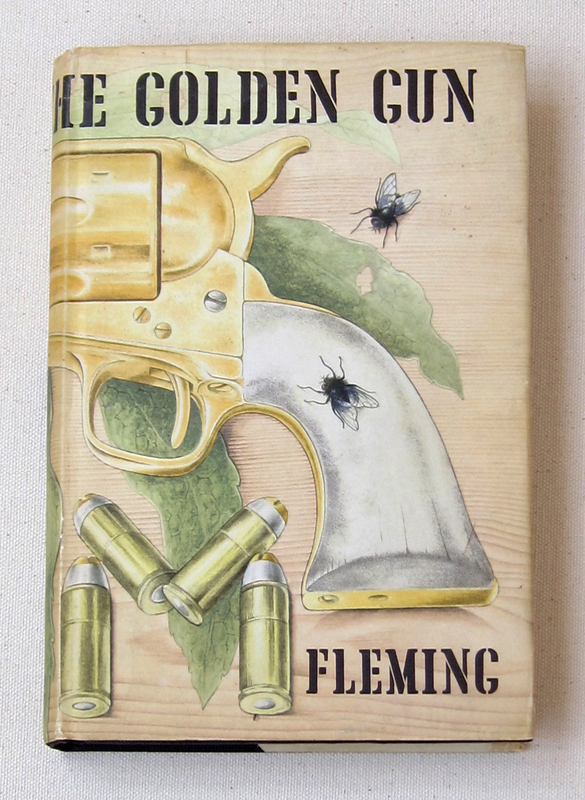 Fleming, Ian. The Man with the Golden Gun. London: Jonathan Cape, 1965. 8vo. ; clothbound in illustrated dustjacket; price-clipped, else fine. 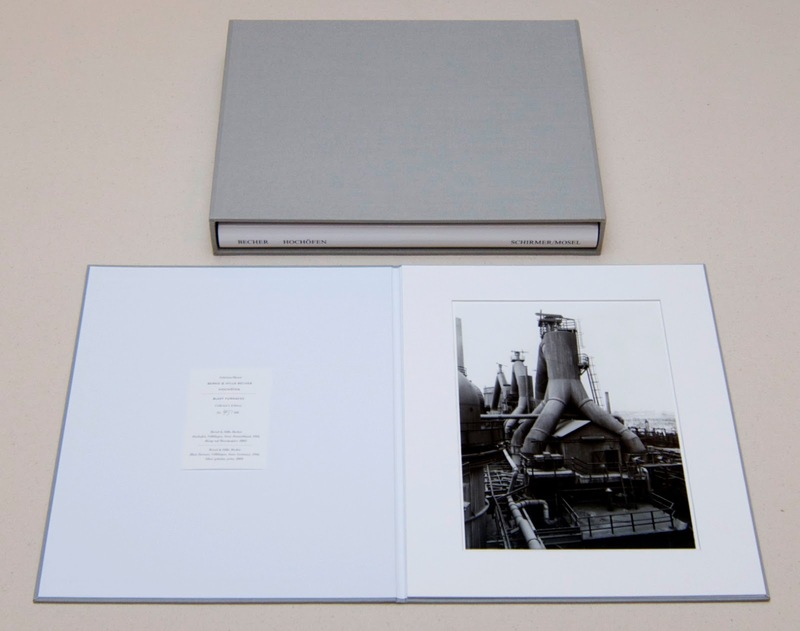 Bernd and Hilla Becher. Hochöfen / Blast Furnaces. Munich: Schirmer Mosel, 2003. Large 4to. 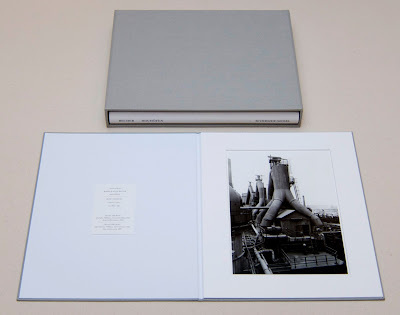 ; illustrated throughout in b+w; clothbound; housed in cloth slipcase along with a silver-gelatin photographic print matted within cloth portfolio. As new, in publisher's original glassine. Limited edition. No. 45 of 100 numbered copies. Silver-gelatin print numbered and signed by the Bechers. Photo dated 1996, printed 2003. Come by the 6 DECADES / BOO-HOORAY Holiday Shop. Every day from now to the 23rd there will be featured items announced on the website and other specials, including Jason Polan’s FREE EDITION, as well as Dirk Westphal’s exhibition of nail polish Mondrians. In the neighborhood near the 6 Decades shop dealers in counterfeit handbags do a brisk business. It’s illegal, of course, and the actual bags are kept in a secret room somewhere out of sight, so if you want to see the merchandise you’ll first be shown a small laminated booklet filled with tiny images of the various models available. 6 Decades was (with some difficulty) able to obtain one of these booklets and Jason Polan has now used it as the basis of his latest artists’ book. In format it is a precise facsimile of the original, but in this version Polan has drawn every bag by hand. 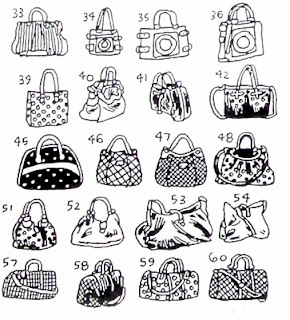 6 Decades is pleased to announce that Every Counterfeit Handbag on Canal Street, a new publication by Jason Polan, is available beginning today. Each copy is signed and numbered and the book is FREE, but you must come by in person to pick it up at the 6 Decades / Boo-Hooray Holiday shop where it will be available exclusively, now through December 23. Sorry, no online ordering, not available on Kindle, no Fedex, no Priority Mail, one copy per person. Come by the Holiday Shop; every day from now to the 23rd there will be new freebies, and/or featured items announced on the website and Dirk Westphal's exhibition of nail polish Mondrians will also be on view.